A wolf population survey in Alaska’s Alexander Island Archipelago has revealed startling results: The rare species of wolf found only on these islands has declined radically. From an estimated number of 221 wolves, there are only 60 left, and they skew about 75 percent male. This could represent a conservation crisis and possible point of no return for the unique island species, but shockingly, Alaska’s Department of Fish and Game hasn’t ruled out a “harvest” for this year — open season for hunting wolves, in more blunt terms. 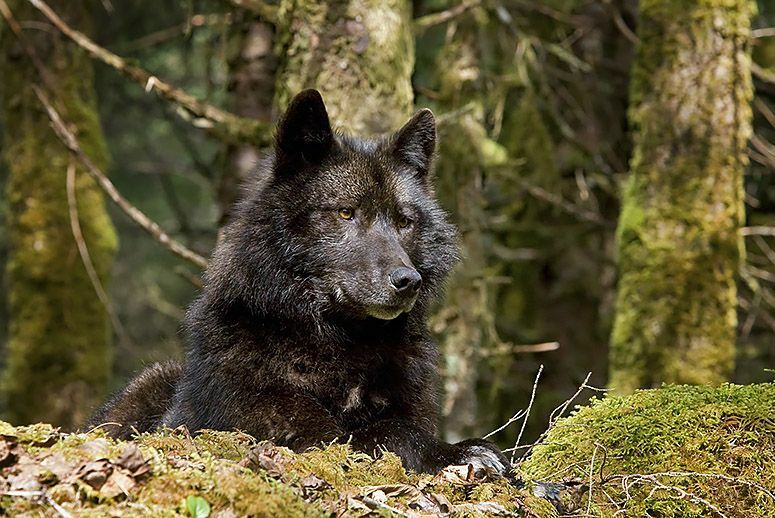 The circumstances faced by Alexander Archipelago wolves aren’t unfamiliar to many species under the gun, sometimes literally, and the slowness to act on the part of individual states is troubling — in this case, it may be time for Big Brother’s interference. These wolves split off from mainland gray wolves thousands of years ago, and are their own distinct subspecies. They tend to be smaller and darker than gray wolves, with some having nearly black coats, and they live almost exclusively on the Sitka black-tailed deer that also roam the islands, with some fish to supplement their diet. There’s a strong interconnection between wolf and deer populations on the island chain, and perhaps unsurprisingly, the number of Sitka black-tailed deer is also shrinking according to population studies. The reasons why the wolf population is in decline are still under consideration. One is a lack of prey animals. The Alexander Island Archipelago is under more development than it was historically, in addition to being clear cut for timber, and it’s a popular destination for hunters. Development pushes deer out of their natural habitat, while clearcutting also creates ecological imbalances, creating an environment where deer can’t live. Hunting also cuts populations down, especially as hunters often select large, healthy animals, taking reproductive age males and females out of the gene pool and making it difficult for deer to reproduce. Without this vital source of food, Alexander Archipelago wolves are left out in the cold, but they face another problem. Humans view them both as a threat to deer hunting, and as a big game animal in their own right. Wolves are legally shot and trapped during hunting season, but evidence suggests they are also hunted out of season. This means that in addition to the reported kills known to Fish and Game, even more wolves are disappearing in the off season. Officials have also floated the possibility of disease, although there’s no clear evidence of illness in the wolf population. Additionally, the same clearcutting affecting the deer is also causing problems for the wolves, who no longer have a safe space to make dens. Without secure living spaces, the wolves are less likely to reproduce, and pack dynamics can be disrupted as well. With the population shrinking and drifting male, there’s another conservation challenge, with not enough female wolves to keep the population going. In conservation terms, it’s critical to have enough animals to maintain a diverse gene pool in order to rebuild stocks of a species and keep those stocks healthy. While Alexander Island wolves might not be at the point of no return yet, they could be close, and conservationists are asking for an immediate stop to hunting and a push to protected status to create penalties for killing wolves. Alaskan officials are slow to act, which may be due to the fact that the state trends conservative and administrators dislike interference. If they don’t move to protect the wolves, they could die out — island species in particular are incredibly vulnerable to extinction thanks to their limited geographic range and the fragility of the ecosystems they rely on. Once one block — like forests — is removed, the entire tower can collapse. These issues are a sound argument for intervention on the part of federal officials to step in. In fact, the wolves are under review, but authorities haven’t issued a policy statement yet; they’d better hurry up, or any formal comments or reclassifications will be theoretical. 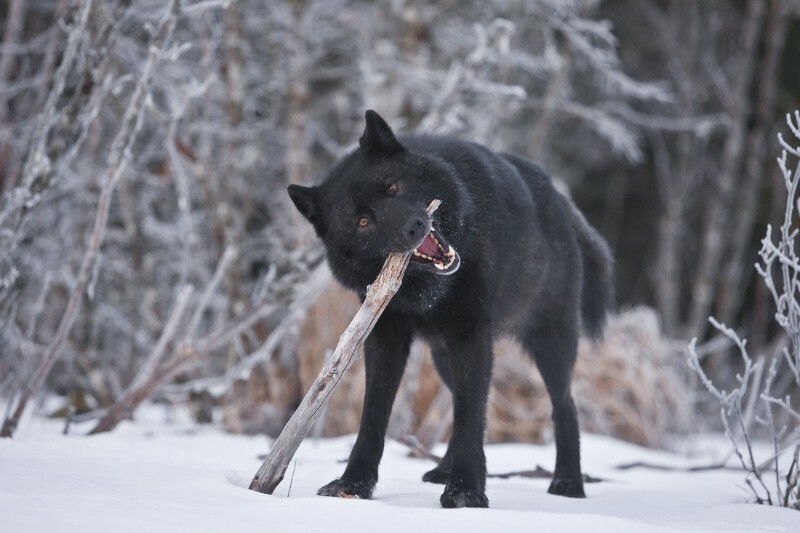 Responses to "Rare Alaskan Wolves Nearly Eradicated in a Year "
These wolves are really stunning. Please protect the wonderful animals. It is their home too. Don't kill them.